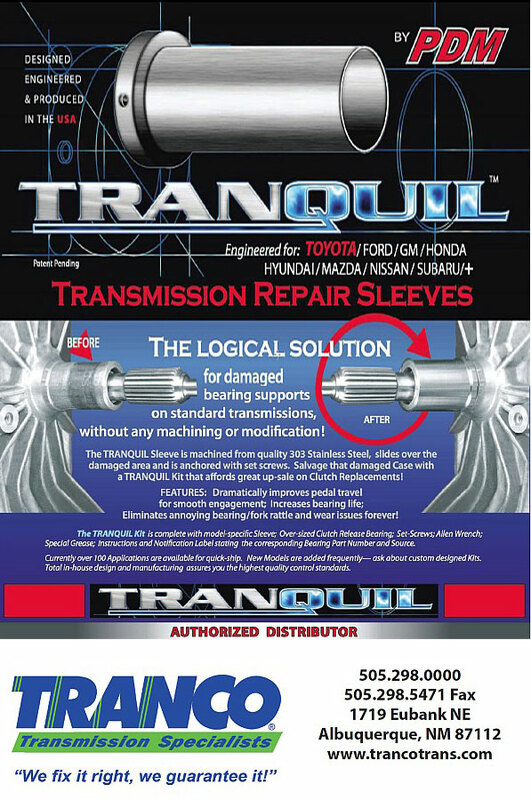 Tranquil transmission repair sleeves for damaged bearing supports on standard transmissions, without any matching or modifications! The Tranquil Sleeve is machined from quality 303 Stainless Steel, slides over the damaged area and is anchored with set screws. Salvage that damaged case with a Tranquil Kit. eliminates annoying bearing fork rattle and wear issues forever! The Tranquil Kit is complete with model specific sleeve, over-sized clutch release bearing, set-screws, allen wrench, special grease, instructions and notification label stating the corresponding bearing part number and source. Currently over 100 Applications are available for quick-ship. New Models are added frequently. Ask about custom designed kits. Total in-house design and manufacturing assures you the highest quality control standards.